When Texas A&M’s Healthy South Texas launched in Sept. 2015, the innovative initiative had a single mission: to improve the lives of as many people in South Texas as possible. Today, significant strides are being made toward a vision of a healthy and vibrant community. In just three years, Healthy South Texas made more than 1 million contacts with its programs. Community members, health care professionals, health care students and public officials have taken part in classes, workshops, events, health screenings, consultations and numerous other activities that instill the importance of healthy living for the prevention and management of chronic diseases. Rising obesity, emerging infectious diseases, high uninsured rates and limited access to health care all contribute to a less-than-desirable quality of life for an overwhelming proportion of South Texans. This is a region where the general population outnumbers physicians 1,000 to one. Five of the 27 counties Healthy South Texas supports have no physician at all. Moreover, much of the rural area is considered to be “food deserts,” where residents have limited access to affordable, nutritious foods such as fresh fruits and vegetables. Healthy South Texas, the pilot program of the larger Healthy Texas initiative, addresses barriers to health in this region of the state by combining the clinical and public health expertise of the Texas A&M Health Science Center with the unmatched statewide network of Texas A&M AgriLife Extension Service. The unique partnership brings together the researcher, clinician, educator, community health worker and extension agent, all working jointly with members of the community to address specific health needs. Healthy South Texas addresses the three highest impact diseases in the region: diabetes, asthma and infectious diseases. All of its programs and activities aim to reduce the prevalence and consequences of these diseases by empowering people of all ages to take control of their own health. Health educators and extension agents engage individuals in education on nutrition, physical activity, gardening and preventive health, such as vaccines and regular health checkups. Community health workers connect those in need with resources for healthy living, like assistance with purchasing prescription medications; securing shelter, food and other basic needs; and continuous support with implementing the lessons learned in Healthy South Texas programs. “The idea behind Healthy South Texas is to disseminate the latest research-based preventive health strategies developed by the public health and clinical experts at the Health Science Center to individuals and communities in conjunction with the statewide network of AgriLife Extension Service,” Dr. Ory said. From September 2015 through August 2018, Healthy South Texas made 1,266,083 contacts. Diabetes self-management, medication assistance, asthma self-management and direct medical care services have saved an estimated $58.8 million in state and individual spending. An additional $119 million savings over a lifetime can be attributed to increased physical activity. While the volume of people reached by Healthy South Texas is great, the true measure of impact can be weighed in how it has affected individual lives. For instance, Mr. Ricardo Cantu, a widower and father of two teenagers, lived with hepatitis C for 20 years before a cure was developed. Although he was approved for the medication that could cure him, the cost was almost $100,000. By working with the Medication Assistance Program offered by Healthy South Texas, he was able to get his medication at no cost to him and has been cured for two years. At just 32 years old, Mr. Daniel Garcia was hospitalized with dangerously high blood sugar above 800 mg/dL. Hospital staff told his mother, Ms. Delphine Garcia, who also had type 2 diabetes, about the Diabetes Education Program offered by Healthy South Texas. Desperate to get her family help, Ms. Garcia enrolled Daniel, herself and her other son, Carlos, who was also recently diagnosed, into the free program. Just three months after taking the initial class, Daniel went from taking 14 different diabetes medications to just four, and Delphine and Carlos no longer need any medications to manage their diabetes. 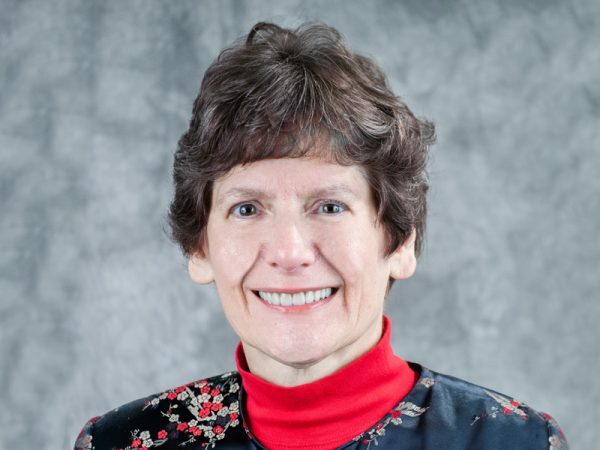 February 1, 2019 "UNC Alumna Sally Herndon Honored With Levine Award for Distinguished Work in Public Health" February 1, 2019 "Arizona Associate Dean Honored for National Preventative Health Services Program"